The trailer and poster for Nick Murphy‘s The Awakening have gone online. I caught the film last year at the Toronto Film Festival, and thought it was a damn fine piece of gothic horror. 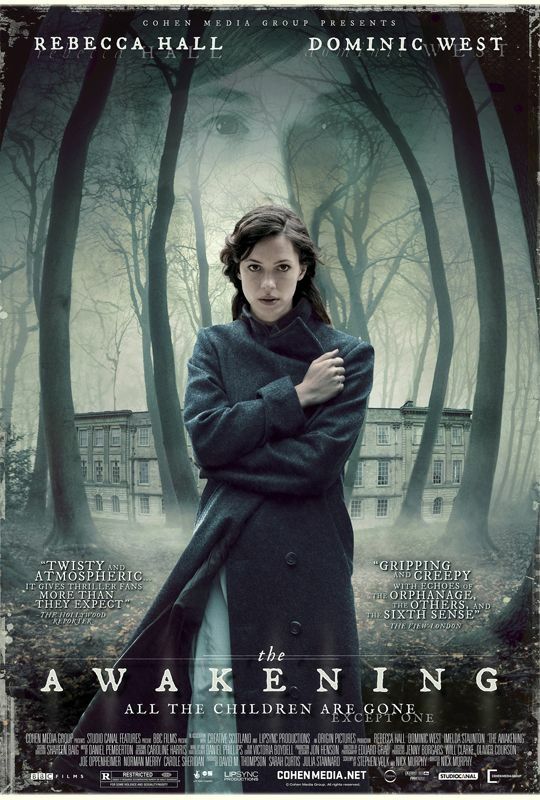 The story takes place in England shortly after World War I, and centers on a hoax-buster (Rebecca Hall) who is called in to investigate the recent death of a student at an all-boys boarding school. When she gets there, she discovers that there might be something truly supernatural going on around her. Part of what makes The Awakening great is the atmosphere and pacing, and the trailer foregoes that in favor of creepy photographs, hands on doorknobs, and other clichéd imagery that does Murphy’s film a disservice. The trailer doesn’t outright spoil anything in the movie, but it does take a lot of moments from the third act, so consider yourself warned. Hit the jump to check out the trailer and poster. The film also stars Dominic West and Imelda Staunton. The Awakening opens August 17th.